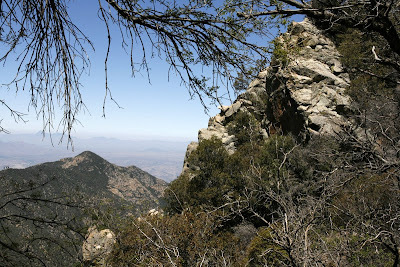 After thinking about doing it for months, I finally decided to take a crack at hiking Mt Wrightson. 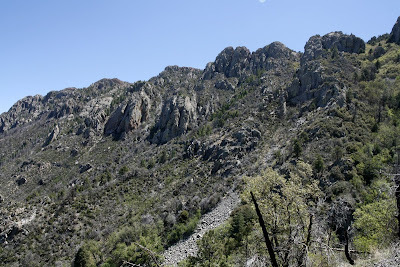 I only first heard of this mountain about 18 months ago when I first traveled to Madera Canyon, south of Tucson. After seeing it, it has been a goal in the back of my mind to hike it. 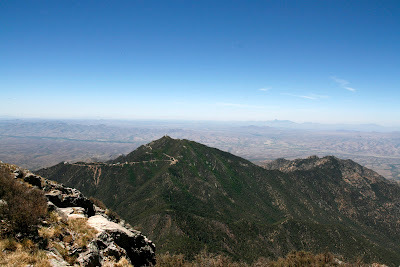 Mt Wrightson is the highest peak in the Santa Rita chain - one of southeastern Arizona's famous "sky islands". I think the allure of this mountain is that it (and the small chain) rise from about 2900' to 9500' in the course of only about 18 miles. 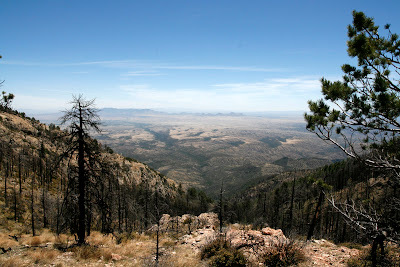 Over this stretch, the landscape starts with typical low desert scrub/grassland (saguaro, prickly pear, ocotillo), changing rapidly to middle-altitude evergreen (gambels oak, sycamore, juniper) and then conifer forests (ponderosa pine, douglas fir with some aspen). These transitions occur so quickly that some odd overlapping can be observed, such as yuccas growing next to ponderosa pine trees. Also, all of the sky islands are known for the huge variety of wildlife they support. 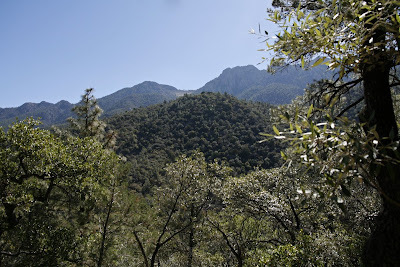 The Santa Rita's are home to bears (which I have seen here), mountain lions, deer, squirrels, dozens of bird species found in few other places in the United States, lizards, snakes, many unique butterflies, and more. Continuously flowing mountain springs and seasonal streams (Mt Wrightson can get a lot of snow) help support all of this diversity. The hike begins at a trailhead around 5400' elevation. Even at this elevation, summer temperatures can reach the upper 90's. The course follows "Old Baldy" trail, rising steadily for 5.4 miles to the peak at 9453'. In total, over 4000' of elevation gain and 10.8 miles. At the start of the hike, a Northern Cardinal was seen. 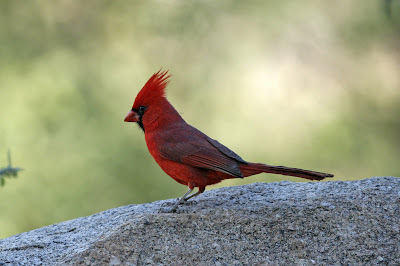 Cardinals are not uncommon in Arizona, but not exactly a common bird, either. 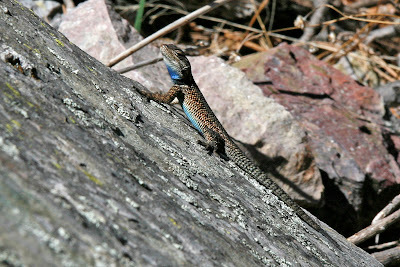 Numerous Yarrow's Spiny Lizards were seen along the trails. This view was about .75 miles into the hike. 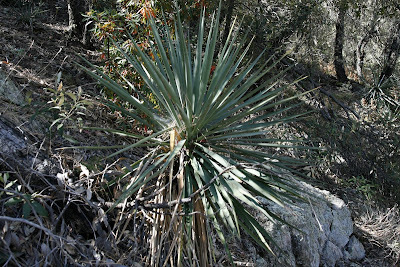 Yucca's appear frequently during this first portion of the hike. 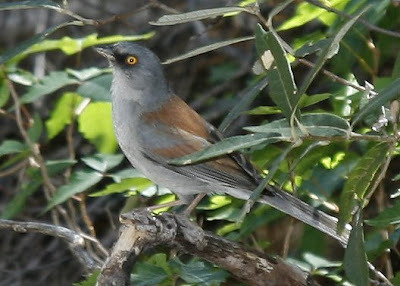 The Yellow-Eyed Junco was the only "new" species seen on the hike, and they were relatively numerous. 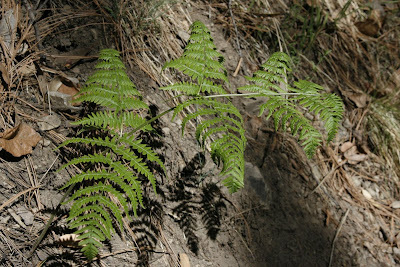 Surprisingly, even in this arid environment, some ferns grow. 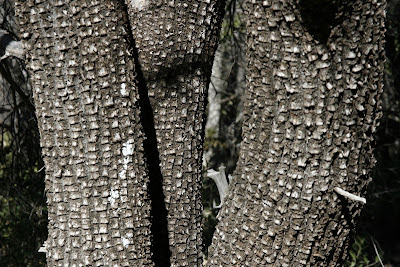 And contrary to popular belief, the Alligator Juniper is not named for the nests of alligators that it supports, but rather the texture of its bark. 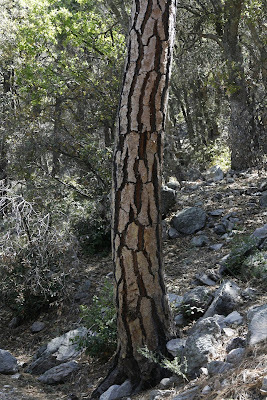 This ponderosa pine trunk had a very interesting pattern. The tree was dead, and had some signs that it might have incurred some fire damage at some point. 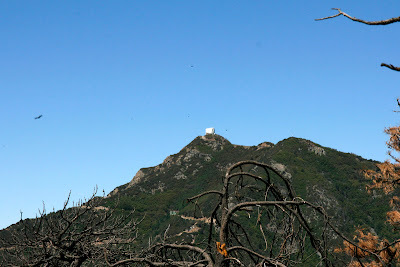 The Whipple Observatory on adjacent Mt Hopkins. About 1/3 of the way into the hike, a nice respite is encountered. The "Josephine Saddle" levels out, and is the merging point of several trails. For those unfamiliar with this part of Arizona, Even this close to Mexico, and at about 7000 feet the weather can be very rough. There is a sign at this point in memory of three boy scouts who died in a snow storm in 1958. That storm dumped over 3 feet of snow. Numerous rock faces are visible once the Josephine Saddle is passed. 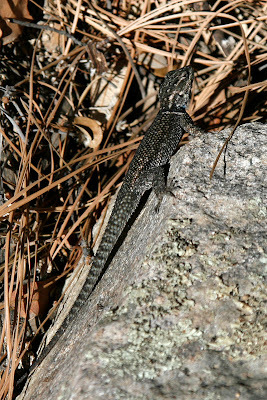 The third Yarrow's Spiny Lizard of the hike poses for some pictures. 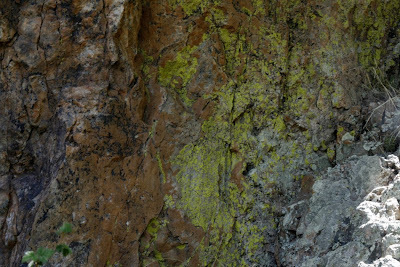 Lichen abound on the boulders and rock faces. 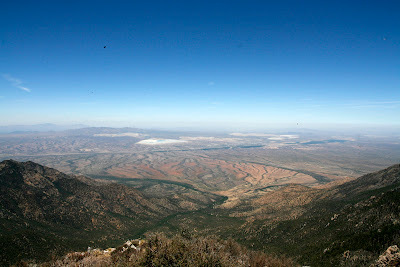 This view from Baldy Saddle looks east towards Patagonia. Baldy Saddle is about 4.5 miles into the hike. The only warbler seen was this distant common Yellow Rumped. 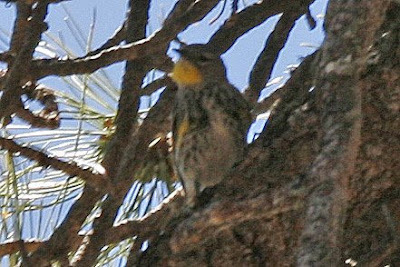 It's not uncommon to see 5 or 6 species of warbler in Madera Canyon and the middle sections of Old Baldy, but my focus was on hiking today. The last mile or so of the hike is much more exposed, with the tail going through a lot of scree, boulders, and rock faces. After finally making the peak, the visit had to be quick. There were literally tens of thousands of flying insects swarming over the last half mile. The baron peak was even worse, with clouds of these tiny flies everywhere. 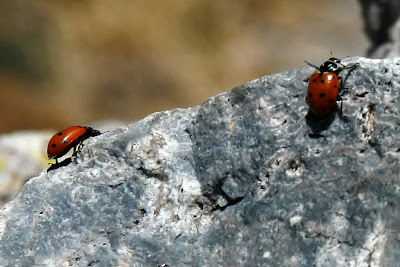 Adding to the mix were thousands of lady bugs, though they were primarily sedate, sitting on rocks and small plants. At least no one was biting! The views from the peak are amazing. 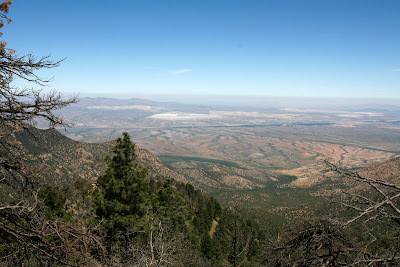 Mt Wrightson is the tallest peak for miles around, so 360 degree panoramic views stretching from Mexico to Kitts Peak to Mt Lemon to Tombstone are possible even on somewhat dusty days. 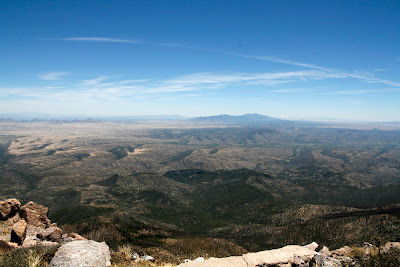 And west back towards Kitts Peak and Green Valley. The 10.8 mile hike took about 6 hours, including a rest for a snack, picture taking, and a significant slowdown due to a painful left knee. 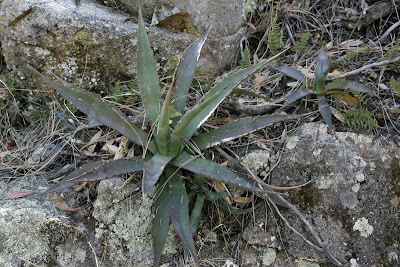 I took about 45 oz of water on the hike, and it should have probably been about 60 given the heat of the day. Temperatures were around 102 at Green Valley (3000'), but I'd estimate the peak at 9453 was in the upper 70's. I'd estimate at the trailhead at 5400' it was around 90. Wow, I just did this hike myself on the 7th. of November, 2009, my 65th. birthday. Your pictures are similar to mine! BUT, I did need names of certain things, so thank you for that. Nice blog!